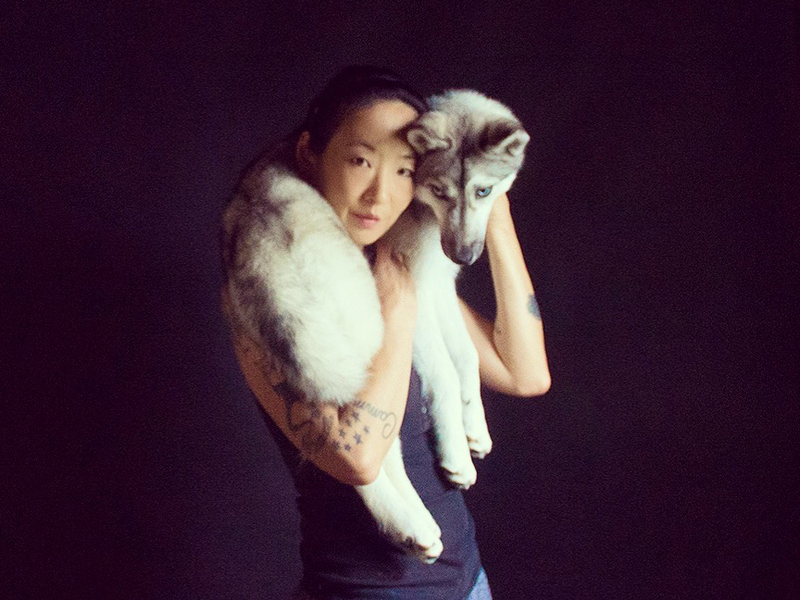 New York- based artist June Kim is best known for her performative photographs and videos of herself and her wolf-like dogs. Kim creates scenes which explore female identity, desire, and beauty. The ever present dogs appear across all the types of media in ways that are metaphorical as well as diaristic, and provide a portal to the mything and primal. Her work has been exhibited internationally, and featured in magazines such as BOMB, Crush Fanzine, Fanzine (by Luis Venegas), and VUU.